I was in a quilt shop the other day and saw this cute little Singer featherweight machine so I bought it! 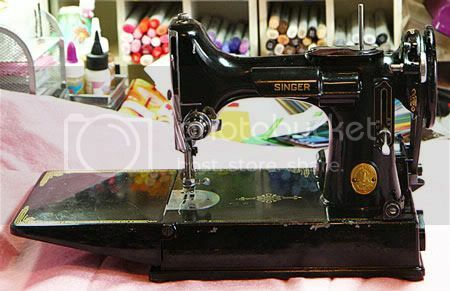 Yes I have a new computerized machine but this one is supposed to be a great little workhorse and I thought it would be nice to teach my youngest daughter to sew on. Plus I got a great deal on it! And it was too cute to pass up. It also came in the original case and look what I found in the case with it (along with a cool old buttonhole attachment). 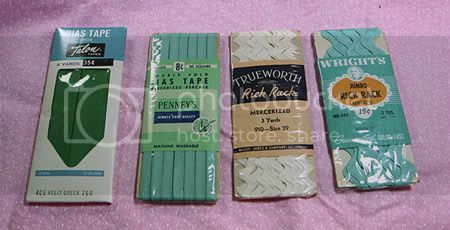 Remember when JC Penney sold bias tape for 8 cents? I don't. Click here for more pics. So I guess the tradition is to name them so now I need to come up with a name. Any ideas? 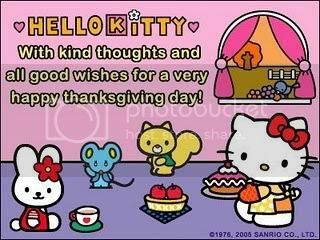 Just wanted to with everyone a very happy Thanksgiving! Belated you say? Yep. I started this wall hanging at least 2, maybe 3 years ago. I had it all done except the binding and all these years, I never finished it. I would think about it, and pull it out, and then suddenly it was Christmas eve and I'd think 'maybe next year' and put it away. Well this time I did it. I finished it! And even more miraculous, way before Christmas! 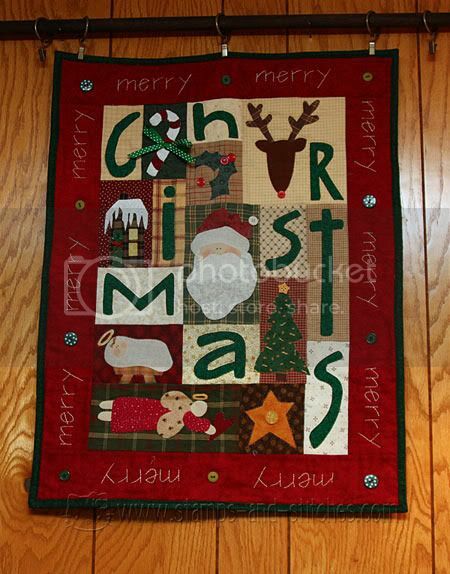 It's from a book by Nancy Halvorsen called Heartfelt Holidays Too and is made with fusible applique. 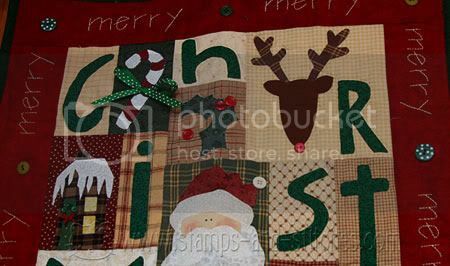 I hand stitched the letters around the border and also around each appliqued shape.